Groh-mentum! Yes, it’s a thing. 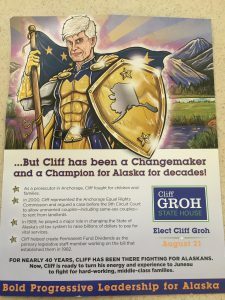 CLIFF GROH CAMPAIGN ON FIRE? As a political consultant, I know better than to make public predictions about races that I haven’t polled. Nonetheless, I think I feel the momentum switching to Cliff Groh in the Downtown Democratic primary. It may be that I’m just surprised. This race pitted three solid Democrats seeking the nomination; a nomination that essentially ensures them victory in November. 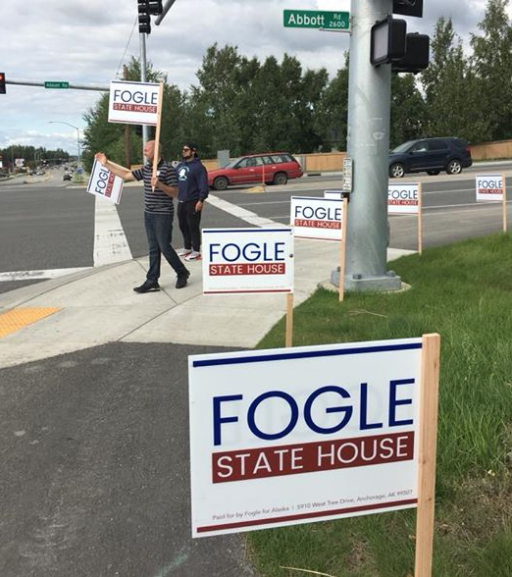 Elias Rojas, Zack Fields and Cliff Groh are all good candidates running solid campaigns. Zack Fields was quickest out of the blocks, and I expected him to run away with the election. I also expected Cliff Groh to never quite get it in gear. Cliff is a likable guy, but he prefers policy discussions over small talk like the professor you like in class, but avoid at lunchtime. This isn’t an endorsement. 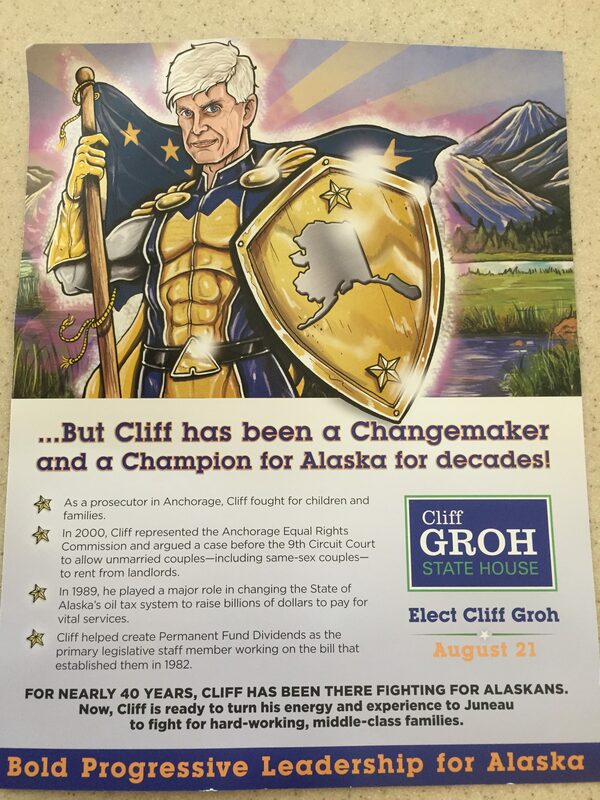 I’m actually in the Rojas camp, but Cliff has created Groh-mentum in this election. His mailers and door knocking are showing real determination. I am also impressed with the folks that volunteer they are voting for him (again, not scientific). Les Gara’s odd way of retiring dominated the early conversations about this race. Gara seemed to indicate that he alone should decide who was Gara-worthy to follow him. Most incumbents usually say something like “I’ll let the voters decide.” Not Gara. He has even weighed in to criticize candidates if they didn’t publicize their Planned Parenthood endorsements in a manner he thought appropriate. Mike Dunleavy has run a text book campaign thus far. He is running away with the Republican nomination for Governor. He is in the strongest position to become the next governor too. Folks that don’t want Dunleavy are spending their political capital on Mark Begich and/or Bill Walker, and giving Dunleavy a wide road to race to November. 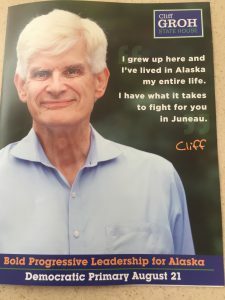 Yesterday, I heard a Dunleavy radio ad that criticizes Mead Treadwell, and suggests he was bought off by Alice Rogoff to green light the Unity ticket as the sitting Lt. Governor. 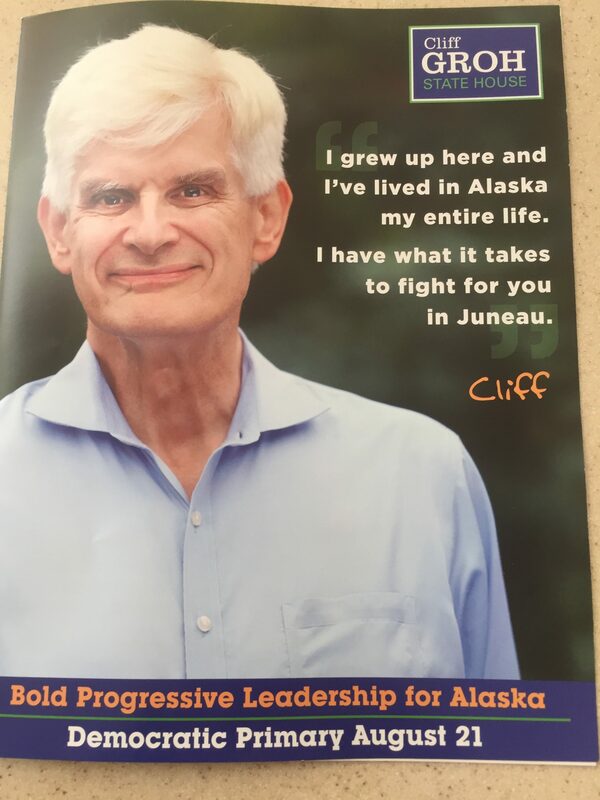 This ad is, to my way of thinking, Dunleavy’s first campaign mistake. 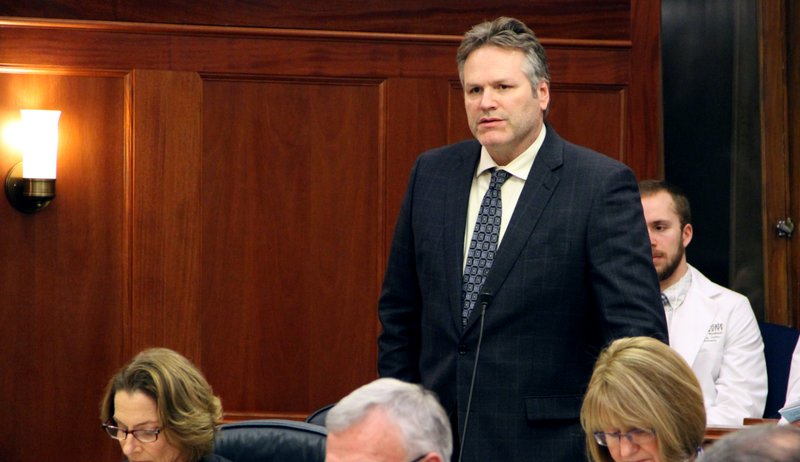 Here’s why it was mistake; Dunleavy should want Treadwell’s support and endorsement on Wednesday. Why give Treadwell a reason to not endorse? Moreover, its a weak argument. Treadwell followed the law by not getting in the way of the Unity ticket. And I was present at most of the Unity ticket’s formation, Alice Rogoff didn’t have a role. I imagine she thought it was a fine idea, but it wasn’t her brainchild. I was in one meeting with Walker, Mallott and their advisors when we got word Alice Rogoff and Forrest Dunbar were coming over uninvited to see Bill Walker. The meeting abruptly ended. This group did not want them in the the middle of the negotiations. Facebook is alive with Republican condemnation of Joe Riggs bizarre mailer that misstates Albert Fogle’s position on SB 91, and oh, by the way, points out he’s gay and married to a man and has kids. Many Republicans are condemning Riggs for this attack. The question now is whether it has an effect on the race. Certainly Seattle columnist Dan Savage’s broadside on Fogle when he ran for the Assembly seemed to hurt the campaign. Hopefully, in this race, no one will care. Be the first to comment on "Groh-mentum! Yes, it’s a thing."